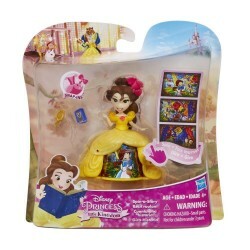 Little princesses can play out their favorite fairytales with the beautiful Disney Princess Spin-A-Story Belle doll and her magical, storytelling dress. Roll the doll along on a smooth surface to reveal three sparkling movie moments on her skirt! 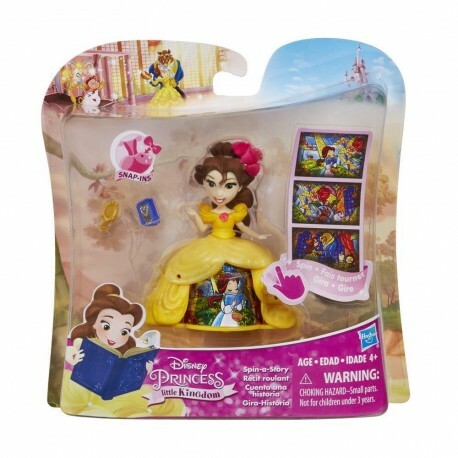 Girls can keep the fun going by creating and accessorizing Belle's outfit with the included Snap-ins pieces and can build their own Little Kingdom with other Spin-A-Story dolls (each sold separately)!